Our Aim is simple: It is to complete our existing facilities with a unique signature bringing warmth and well being. Our projects, built by our professional team in cooperation with structured management, are blended with innovative will and a result oriented mind set to set Armada Group as a pioneer and leader in the region. It is with full pride that we present our group of companies in the United Arab of Emirates with our corporate offices ARMADA PROPERTY SERVICES JLT located in our owned ARMADA TOWERS, Jumeirah lakes towers, Dubai. 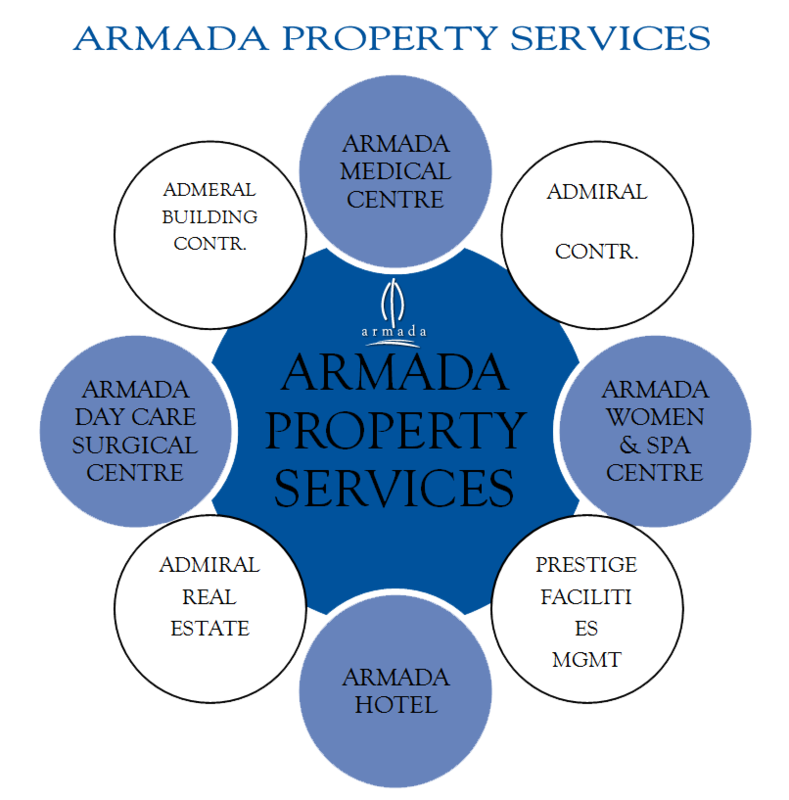 Since its foundation, Armada Property Services, KEY Master Offices for the group, ensures its goal in providing expediency and a demanded imagination for its clients. Through its mixed used projects, it will offer a modern lifestyle and contemporary community surrounded by all the needed facilities and services. Our exclusive facilities maintain an unforgettable experience and a balance in urban community.